Barkerville Historic Town is the largest historic site in western North America. Barkerville is provincially, nationally and internationally recognized for its historic significance associated with its place in western Canada’s gold rush era and the role the gold rush played in BC joining Canada. Barkerville is widely known as a “must see” for travel itineraries in western Canada. 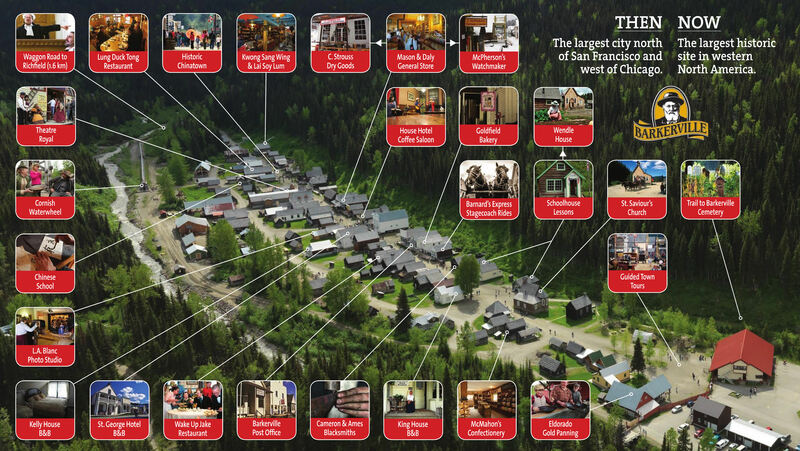 The historic town is also a significant contributor to the Cariboo regional economy and is widely regarded as a unique component of the regional identity. The Barkerville Heritage Trust, as Barkerville’s operating and managing partner, works in conjunction with the Province of British Columbia, the owner and statutory guardian of Barkerville’s heritage resources, to ensure that Barkerville is efficiently managed, entertaining and educational to visitors, and financially stable as the premier heritage resource and tourism attraction for the Cariboo. The ultimate aim is to maintain and enhance Barkerville’s position as a nationally significant heritage resource and tourism attraction for British Columbia and Canada.